EOS blockchain, that launched on June 14 after the 340-day ICO, will naturally face many problems as it grows up. “Ethereum Killer” guarantees zero commissions and high scalability, which will allow thousands of decentralized applications (dApp) to co-exist on the platform. According to these indicators EOS wins from its overloaded, expensive and slow ancestor. 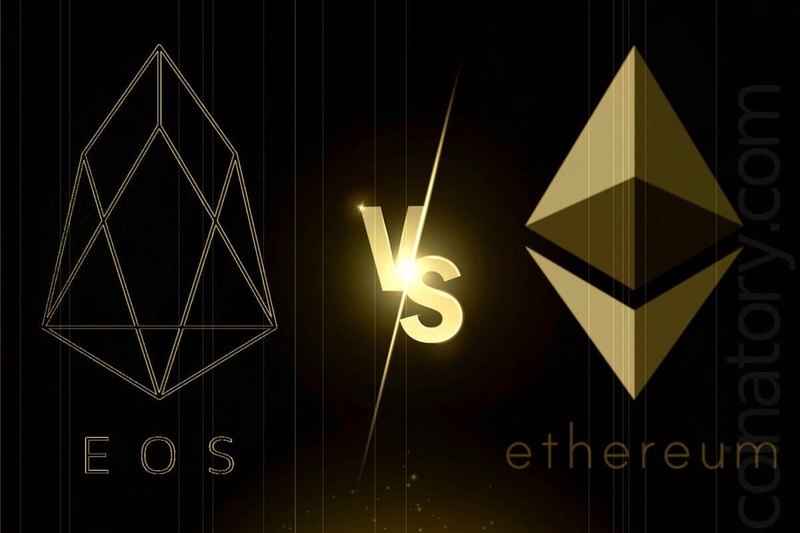 However, the developers of the first dApps on EOS are concerned about another question: if Ethereum is expensive for application users (any action inside the game or another dApp is determined by smart contracts and requires calculations that the user must pay for in gas), then EOS is expensive for developers. “EOS puts the cost of transactions and storage onto the developers. ETH puts the cost onto users” – writes the Reddit user. The CEO of the recently launched PandaFun on EOS, estimated the cost of all the resources required for EOS-dApp at 21,000 EOS ($ 122,000 at the current exchange rate). In this case, the deployment of a smart contract for dApp on Ethereum will cost $ 100. EOS, by its very nature, assumes an “equity” network architecture. This logic is determined by the consensus reaching algorithm used – DPoS (delegated proof-of-stake, or delegated proof of the role – share). If a valid proof-of-stake validator can become any participant in the network (and the probability that he will create the block is proportional to the number of coins on his account – that is, his share in the network), in the delegated version, validators, or block producers, “are selected” by simple users. Thus, the EOS network is supported by a “constantly changing group of 21 block producers”. They share in the network is necessary to confirm transactions and generate blocks, and “voters” – to participate in elections. Everywhere the same rule operates, namely – a more powerful voice of the one who owns a larger share of the network. The other, but also the “shared” mechanism provides “everyday” work for EOS, that is, allows users (and developers) to open accounts, perform transactions and create smart contracts, and also protects the network from spam. This mechanism is called stacking. In fact, it makes possible the absence of commissions, since in bitcoin and Ether networks all these operations (except creating an account that is free) are “sponsored” by commissions. Stacking is the “locking” of funds for a certain period of time in exchange for one of the resources needed to work on the network. Network traffic (NET). Average NET consumption is measured in bytes that you spent in the last 3 days. NET is consumed every time you perform an action on a blockchain – for example, send a transaction. The more tokens you reserve as a share of the network, the more NET you get for use. Processor time, or computing power (CPU). This is the time that the CPU spends on the execution of a given action. Average CPU consumption is measured in microseconds you spent in the last 3 days. Processor time is also expended in the implementation of each action on the blockchain. And the longer it is processed, the more CPU time it consumes. These resources are allocated in proportion to the number of tokens you contributed to the three-day stacking contract. When carrying out stacking, you specify which part should go to purchase the CPU, and which one should go to NET. Subsequently, you can either add funds to the contract or abandon the resources at your disposal by exchanging them back to the EOS tokens. That means, when stacking, you do not lose your money: being in the contract, they will be depleted, but after three days the cost of the contract in EOS will return to the original indicator. The only thing that will change is the dollar equivalent. The economic essence of stacking is to confirm that you do not spend “pledged” tokens during the contracted time. That is, you keep tokens at the time of inflation – when the producers of blocks create new coins that go to them as a reward. In this way, you pay nodes that process transactions and provide processing power. Operative memory (RAM). We’ll talk about it separately since the way of its acquisition is different from steak. It is bought on the domestic RAM market, the price is adjusted automatically depending on supply and demand. RAM is required to store data on the blockchain, that is, you pay for a certain number of bytes. If you do not need a certain amount of memory, you can sell it at the current exchange rate and get an EOS. The amount of RAM is limited (currently – 72 GB, of which 62% is used – 44 GB of RAM), but can be increased if necessary. So, block manufacturers once already increased the amount of memory when, after launching the main network, speculators started buying up RAM to sell it later at a higher price. This raised prices to 0.94 EOS per KB – 9 times higher than the current level. Then it was decided to double the RAM emissions, adding 64 GB per year at the rate of 1 KB per block. And this step has allowed calming down the market of operative memory. To develop EOS-applications and onboarding (roughly speaking, attracting) users of the project will require a large number of the three listed resources, and hence – an impressive amount of funds. Even considering that tokens paying NET and CPU, in fact, are not wasted, they should always be “reserved”. Kevin Rose, co-founder of the company-manufacturer of EOS New York blocks, said he is in talks with a group of developers who want to use EOS instead of their current platform. The transition from Ethereum to EOS has been openly announced by the Tixico event platform: EOS “promises enough scalability even with millions of users, and this is critical for a platform designed for simultaneous maintenance of a large number of people – as happens when selling tickets, when tens of thousands [people ] simultaneously enter and make a transaction. ” Of other advantages, Tixico also noted the lack of commissions. However, each of these teams will have to pay dearly for attractive scalability. The CEO of PandaFun, who reported about 21,000 EOS spent for the development of the application, also spoke about the distribution of the tokens on the resources: for example, 10,000 EOS (about $ 58,000 at the current rate) went to RAM, the same number on the CPU and 1000 EOS ($ 5,800) on NET . However, CEO of PandaFun noted that most of the RAM will be needed for an upcoming token – for the game itself it will take less. On average, creating an account for each user requires 4 KB of RAM (about $ 2.7 at the current price of RAM). However, RAM is required for many other actions.